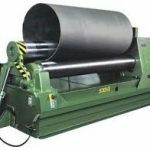 Our rolling department has three rolls to accommodate any of your rolling requirements. Both extreme and massive to the smallest and simple projects. 1 ea. 10ft 8″ Rd., 1 ea. 6 ft 8″RD 1 ea. 4ft 4″RD. We can roll all types of materials in all of these rolls.